PulseAudio has still problems with some applications and it always adds a little latency and that's the reason, why so many people still prefer ALSA. This howto shows you, how to remove PulseAudio, add alsa-mixer applet to the panel and associate hotkeys for volume change. 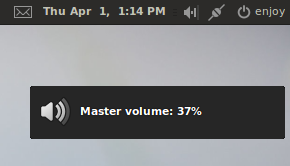 PulseAudio removes volume applet, so you need new volume applet. For getting it to work, you need to intall the following packages: python, python-notify, python-gtk2, python-alsaaudio and xfce4-mixer or gnome-alsamixer (i preffer xfce4-mixer). If you want to use your keyboard's volume hotkeys, you have to set them in System > Preferences > Keyboard Shortcuts. Click Add. Then click on Disabled in the second column and map your hotkeys for these actions. Now restart your computer and test, if everything is working. 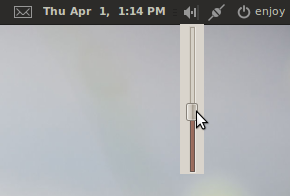 A click on the tray icon opens the slider. Use hotkeys to change volume – these changes will be shown via libnotify. Note: Unfortunately, this solution is not perfect, because Totem does not play audio and in Nautilus does not work audio preview on mouse over. If you have any other solution, please, let me know. Instead of removing pulseaudio you can also stop if from auto-restarting and simply killing it of with an auto-starter each time you login. After that, simply put killall plulseaudio into your autostart. 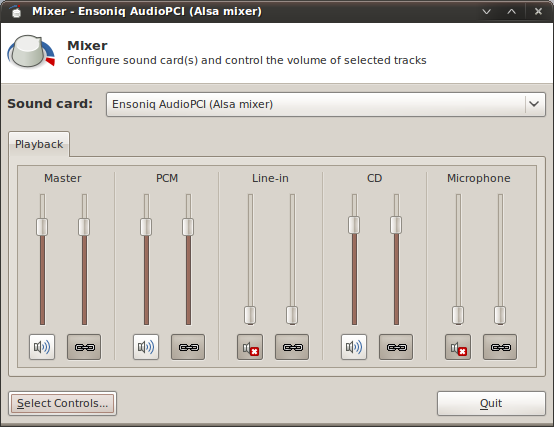 You still need the alsa-mixer stuff and totem/audio-preview are also broken. but it’s quite useful for when you want to temporarily switch to alsa or any other sound system. Edit: I found another way at webupd8.org. Credit goes here and here. All contents copyright © How to. All rights reserved. Theme design by Web-Kreation.